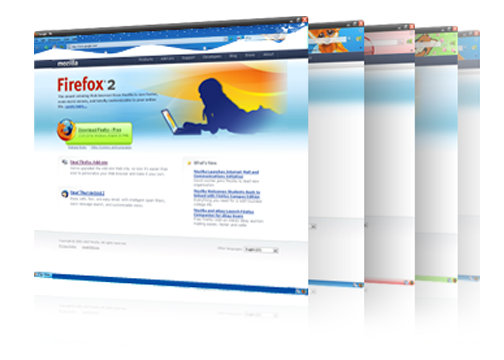 Mozilla Labs is making available a new plug-in to Firefox that lets users create themes for their browsers without requiring any coding. The extension is intended to make the theme creation, application and sharing process as easy as drag and drop. The themes extension makes it easy for users to apply new themes instead of having to download and apply separate themes as separate plug-ins. Also, the extension will support sharing of themes. No online tool now a days seems to be complete without an option that lets users interact and share their creations in a seamless manner. With an open and extensible architecture Mozilla has immense advantages from supporting social models within the browser framework. You can download the plug-in for the themes from here.